Georgia Southern University comprises a myriad of research, scholastic and educational strengths that dovetail with current scientific, technological and community needs. All applications, proposals, and contracts for research funding, training, and other scholarly activities, are made in the name of the Georgia Southern University Research and Service Foundation. In most cases, proposals must be routed for academic and administrative reviews and approvals prior to acceptance of an award or contract. For more information on proposal routing, see the Preparing Your Proposal section of the ORSSP website. Once a proposal is reviewed and approved by both parties, contractual agreements may be initiated by the Georgia Southern University Research and Service Foundation. To facilitate this activity, the Executive Director of the Foundation will work directly with the Sponsor to negotiate the Agreement between the parties. This will serve to memorialize the relationship between the University and the sponsor. The Grant Coordinator and Executive Director will prepare a Sponsored Programs Agreement. However, in some cases, a Research Services Agreement may be used for projects of limited scope and funding. They will assist you in determining which agreement is most appropriate for your project needs. If an application, proposal, or contract is not processed through the proper channels of the University and/or the Research and Service Foundation and is subsequently funded, there is the risk that the award not be accepted, or there may be a delay in accessing funds. 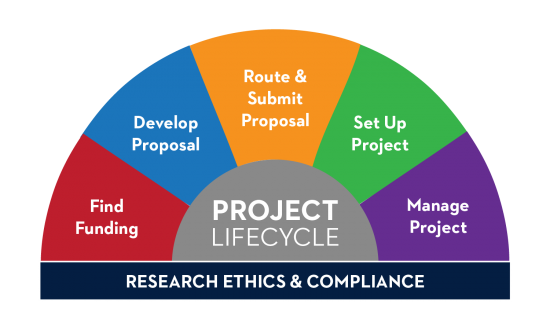 Additionally, if a project is solicited by a third-party, and work is performed on this project in absence of a recognized and fully executed sponsored programs agreement (grant or contract), the principal investigator alone maintains ultimate liability for any and all requirements of the research program. Further, the principal investigator must reimburse the University for any and all costs associated with the use of University resources commonly associated with the pursuit of this research.